The men showed out yesterday evening(September 17th) at the 70th Primetime Emmy Awards at the Microsoft Theater in LA. To see all of the celeb looks, click HERE and continue below for the men's wrap-up. Donald Glover who was a nominee for his hit TV series 'Atlanta', wore a black & white stripe GUCCI suit which he paired with a white button down shirt, a black bow tie, black shiny shoes and TIFFANY & CO jewelry to top things off. 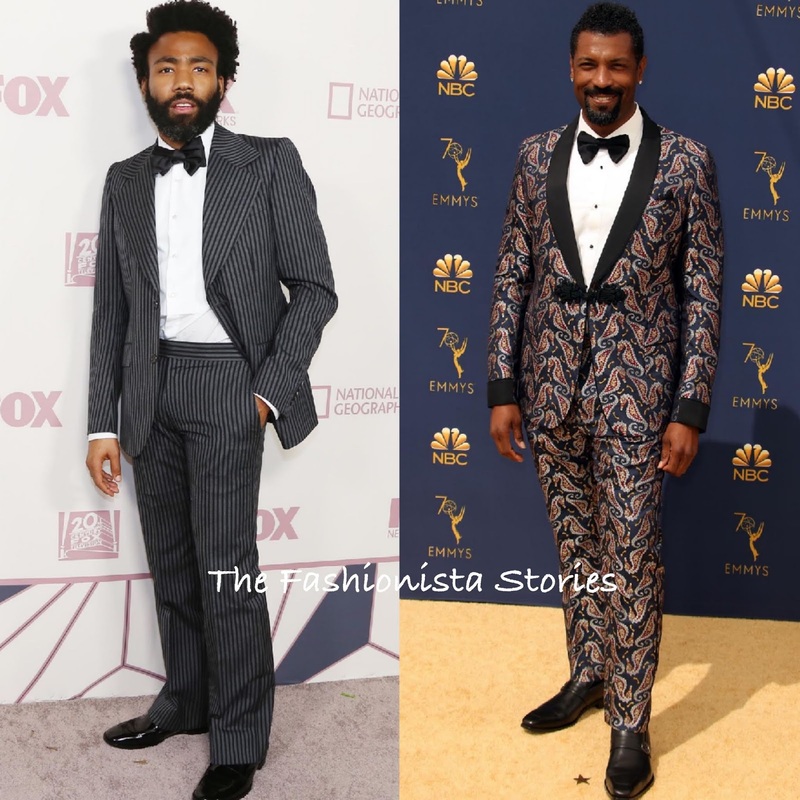 Deon Cole of the hit TV shows 'Black-ish' & 'Grown-ish' was indeed my favorite in the printed GUCCI suit. Deon is never one to hold back when it comes to his style which is one of the reasons that I like him. Sterling K. Brown who was a nominee, was clean as could be wearing a classic DOLCE & GABBANA tuxedo which he styled with a white shirt, a black bow tie, a white pocket square, CHOPARD jewelry, dark sunglasses and CHRISTIAN LOUBOUTIN dress shoes. Since this is solid black, I wish he wore a printed pocket square. 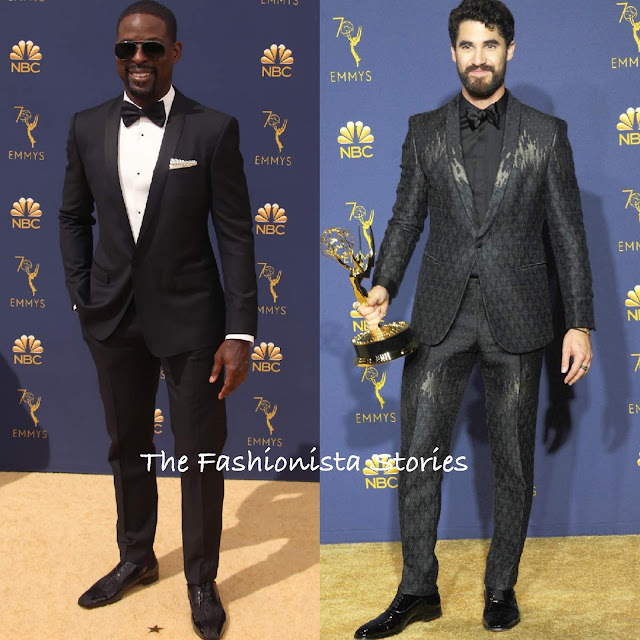 Darren Criss who walked away a winner, nailed this EMPORIO ARMANI black diamond printed suit which was styled with a black button down shirt, a black bow tie, JOHN HARDY jewelry and CHRISTIAN LOUBOUTIN shoes. Tags: Chopard, Christian Louboutin, Darren Criss, Deon Cole, Dolce and Gabbana, Donald Glover, Emporio Armani, Gucci, John Hardy, Louboutin Homme, Mens, Montblanc, Sterling K. Brown, Tiffany and Co.